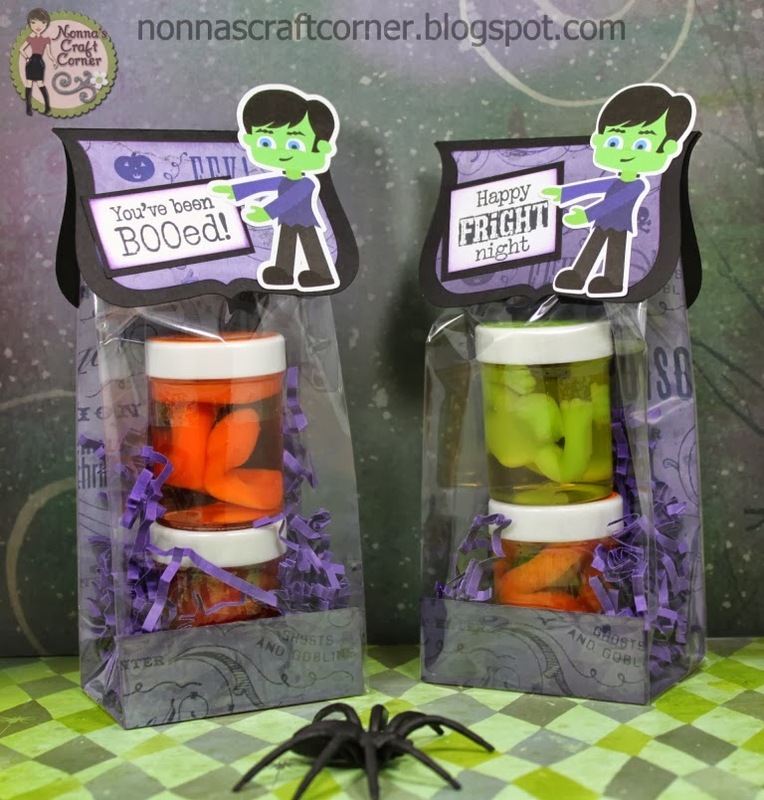 I found these creepy jars of slimy gel- like candy that looks like preserved frogs and snakes at Walmart. They are totally disgusting and I knew the older boys would love them! And, these are for a couple of my younger goblins. These are sooo cute Tanya!! Those treat bags look great and I love how you used the boxes!! 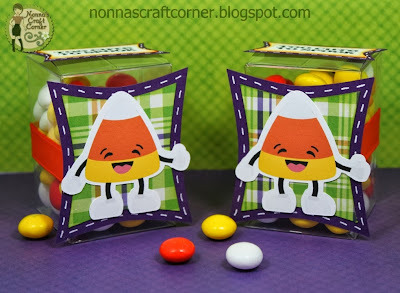 Love these Tanya-- do you mind if I scrap lift your candy corn box idea. I am working in NYC next week and they would make great gifts for my team for Halloween. Thanks for sharing my friend and have a GREAT hump day! These are all so fun! I had to laugh at the boys loving the "totally disgusting" treat!! Tanya ~ I really was starting to sweat here thinking the goblins took over you and Lola!! LOL! Well aren't these ADORABLE little treat containers!! Oh Tanya ~ you seriously ROCK everything you touch! Hope all is well and have a great night! Totally cute & Super fun!! Love ALL the Treats! These are fabulous. Frankie is so cute and I love the candy corn. 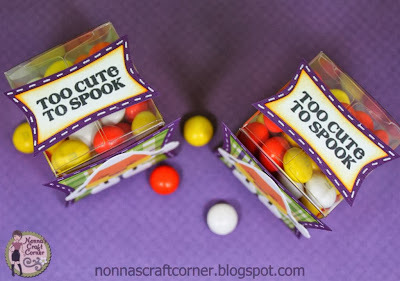 Well Tanya those totally disgusting candy gifts will be a sure hit with the treat or treaters. Aw they all turned out so cute. I know you had some very happy little goblins.